Featuring free WiFi throughout the property, Four Bed House Warwick Way Pimlico is a holiday home located in London, 1.1 km from Buckingham Palace. The unit is 1.3 km from Westminster Abbey. Towels and bed linen are featured in this holiday home. 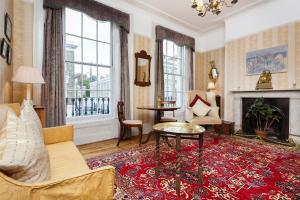 See all Four Bed House Warwick Way Pimlico reviews..